Recycling and Re-purposing Old Phone Books, Opt-out Programs Want to know how to recycle or reuse your old phone books? Tired of receiving them altogether? Here are some tips for how to do all three. Most of these tips are great, thank you. I wonder about the safety of chemicals in the dyes and inks used in phone books, however, especially if used to help make compost for vegetable beds. The papier-m�ch� is a great idea, my son has a papier-m�ch� project and I thought I would have to buy a few newspapers, but not any more. Thanks for the tips. @Maryl: Glad that gave you an idea! Thanks! I get way too many of these. Always recycle them, but rather they saved the trees by not printing them! I did the opt out! Hope it works! @Ann: I've asked a chemist who said that, no, you should not compost pages (or newspapers). I've updated the article. Thanks! Jo and Bonnie, glad it was helpful. I know doing the research was useful me. I hope the opt-out works, too! You gave me a great idea with using the phone books as litter box liners. I will use them for my birds cage. Way too many phone books, I am overwhelmed. It is hard to recycle them but I loved the ideas for using them. I don't know if this is only in Paris or in all of France, but here, a pack of new phone books is delivered each year in the lobby of every building. Residents are invited to take one copy, and to bring the old version down in the lobby. When "all the new books are up and the olds are down", they are collected to be recycled. This has been going on for about 4 or 5 years here, and it's a great idea...... because even if we may now use internet etc. to find a phone number, it's often much quicker to just open the phone book than to power up the PC, open the browser, type the name etc etc. How many numbers does anyone look up in a year? If I'm looking for one I check online. You can easily query by business and city, so really I don't think these huge books should be printed, except for people who specifically request them as they don't have computers. I read the average person receives 1000 pounds of junk mail in their lifetime. Add the yearly phone books and that's a lot of paper being processed unnecessarily. I like this opt out option, I'm going to check for it in Canada. Sylvie: That really is a great idea. Too bad it isn't more common. 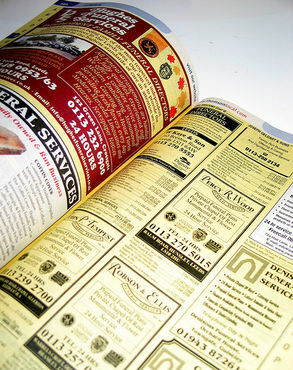 Julie: Seriously, how often are phone books actually used? Hope you find a program! Maybe someone could confirm this as I have not been inside a private home in France since I lived there in the 70s, but I have heard that they do not even have phone books any more and that private telephones have a sort of monitor so that phone numbers are looked up just as if you are on-line, even when you have no computer. In Greece I haven't seen a new phone book in ages - the phone company prefers to have you call directory assistance so they can charge you. I personally like the old fashioned telephone books. It gets used more often than looking up a number on line. The local convenience center (trash and recycle) takes used telephone books every year. I tried to opt out, but received a message that I waa not authorized to open the opt out page. What's going on?? ?